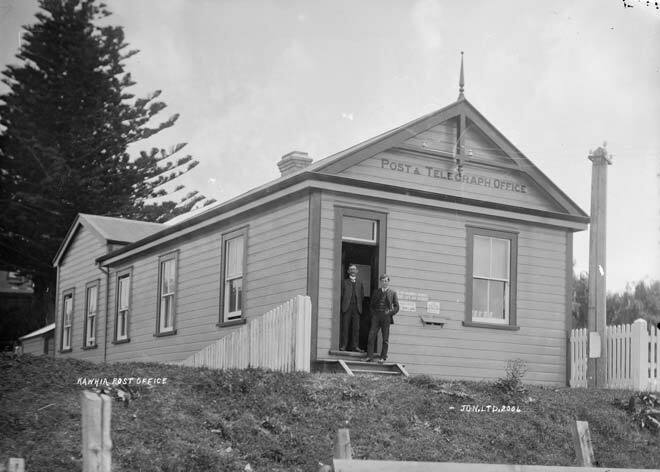 The post and telegraph office in Kāwhia opened in 1886. In 1900 the office may not have been a telegraph service, but it is likely that it included the local telephone exchange. Telegrams sent to an area without a telegraphist would be telephoned instead.